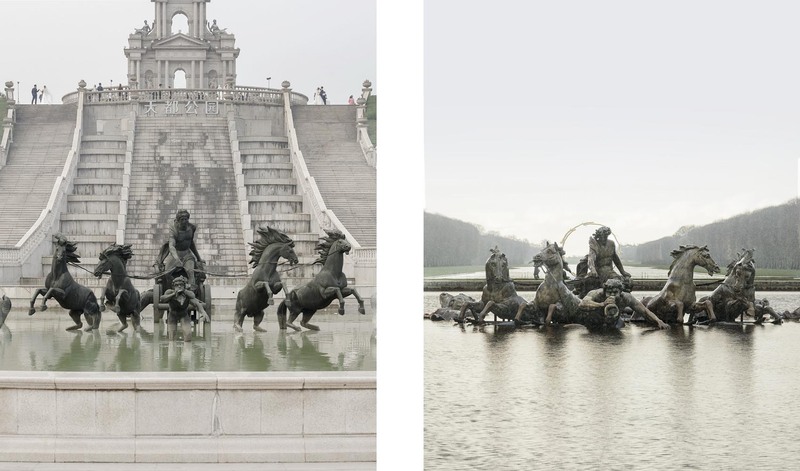 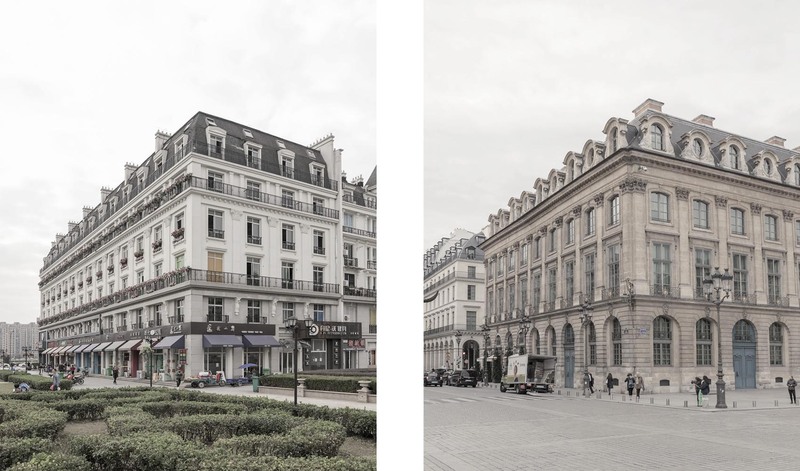 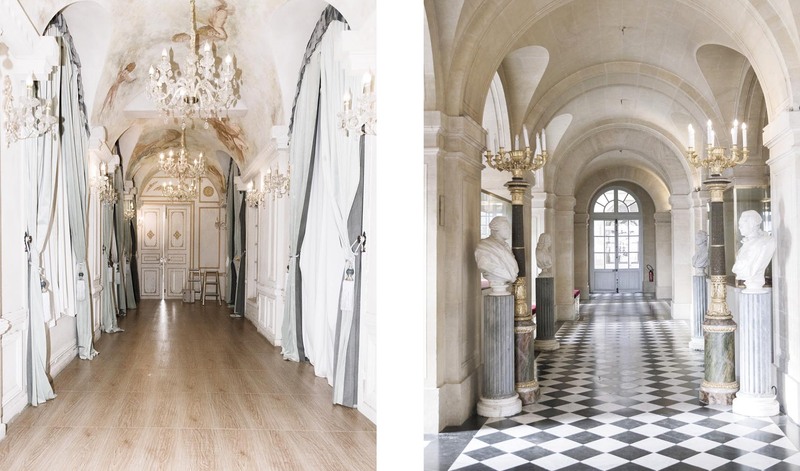 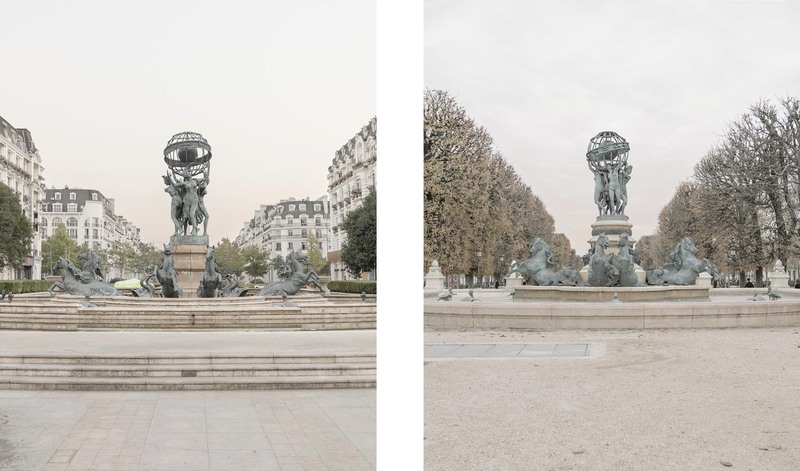 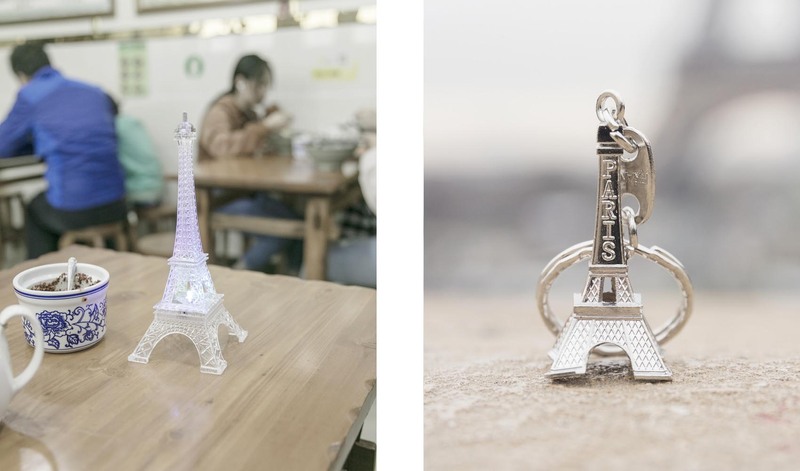 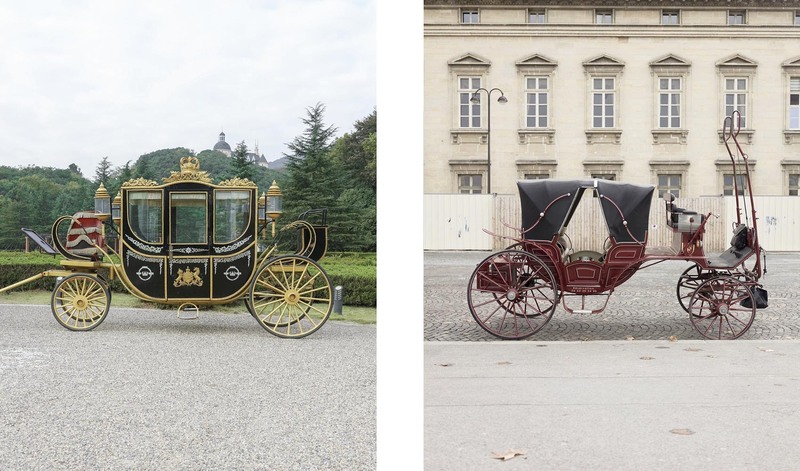 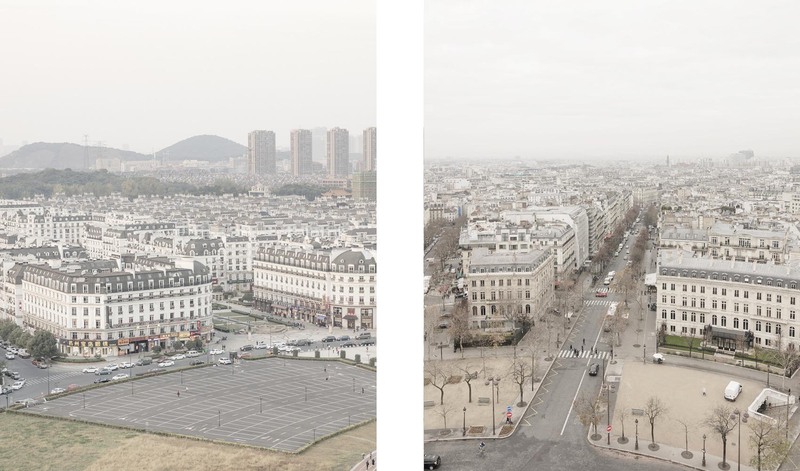 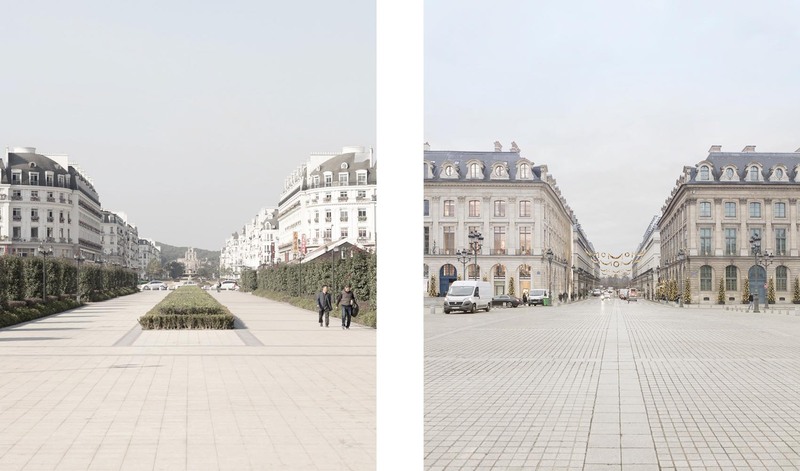 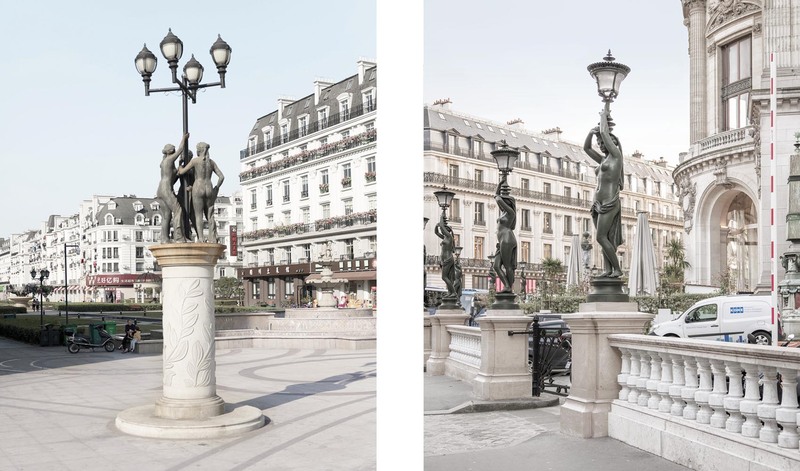 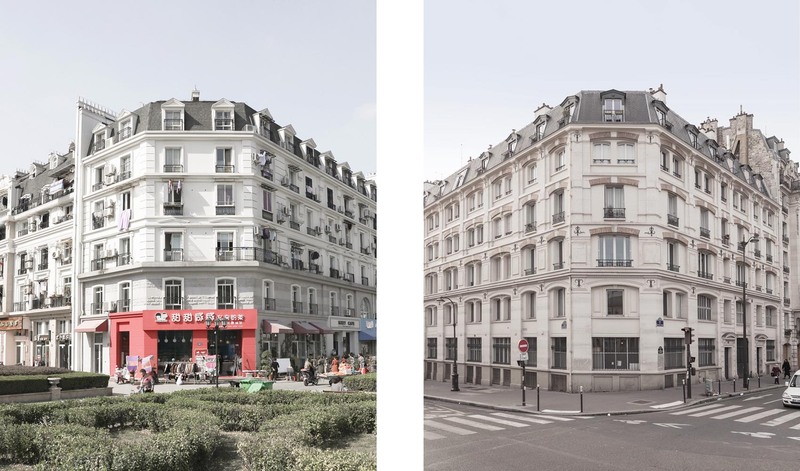 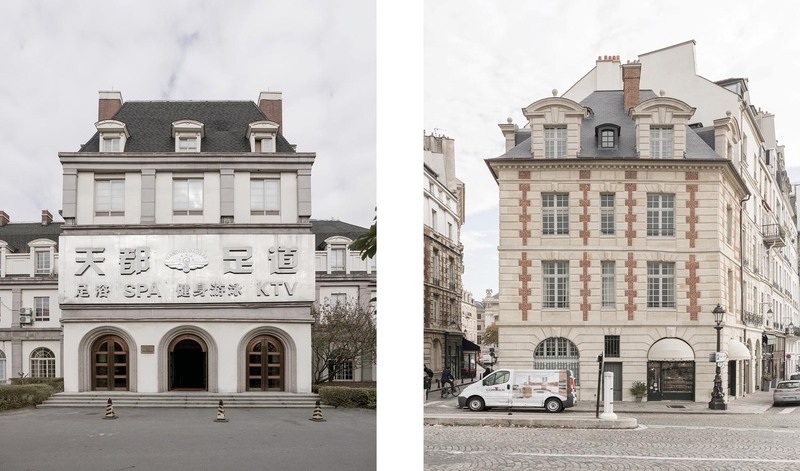 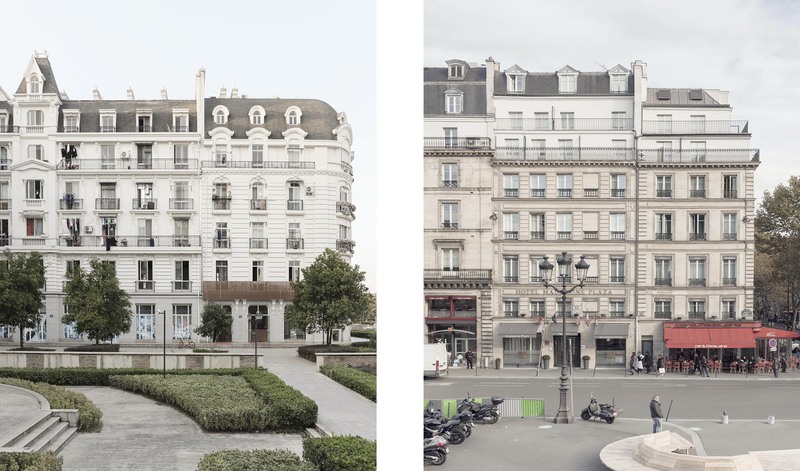 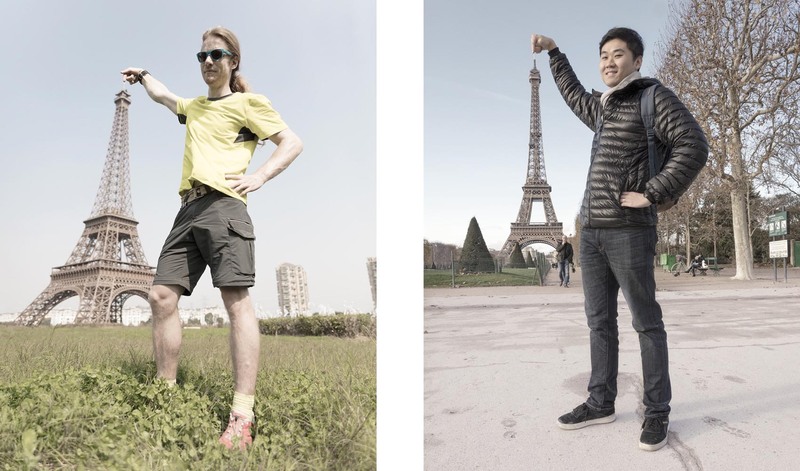 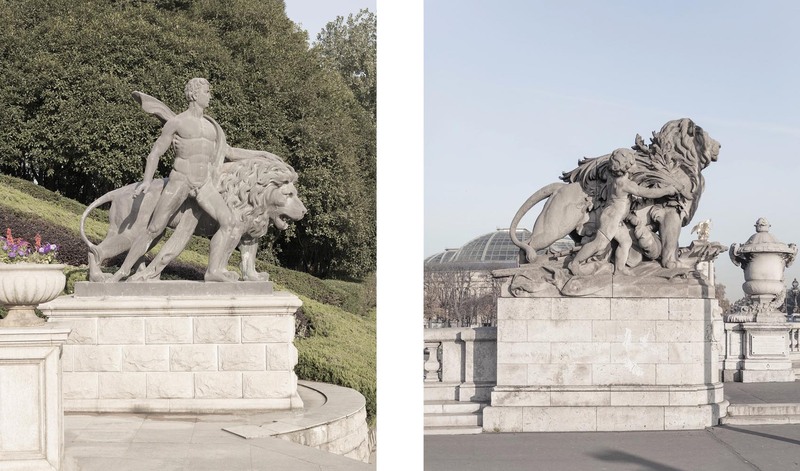 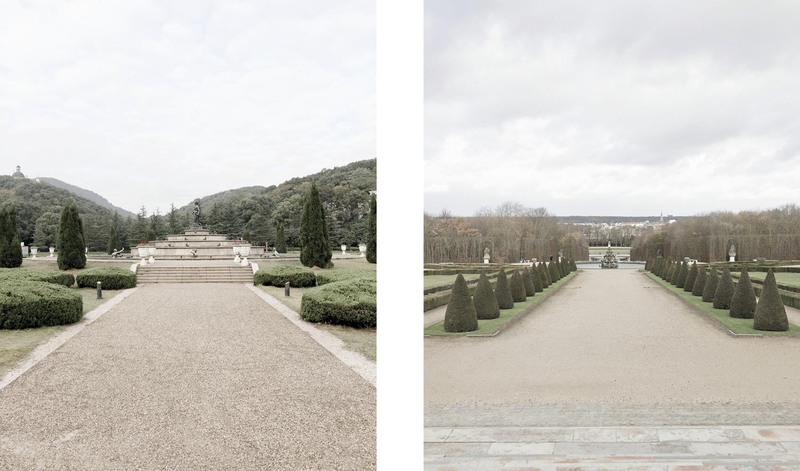 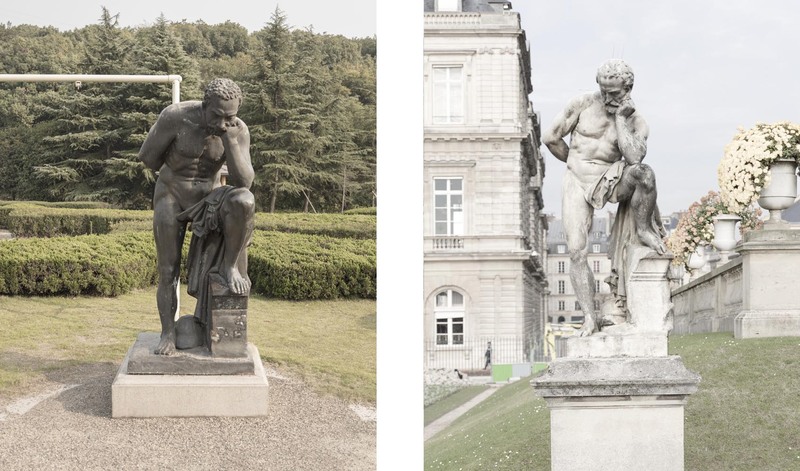 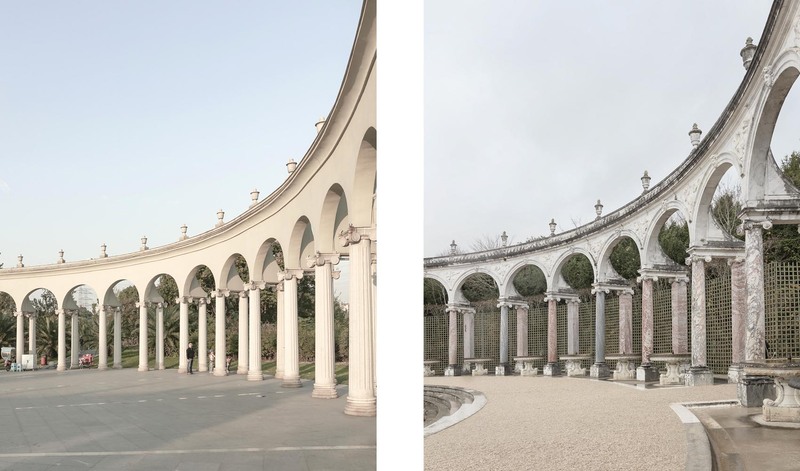 Paris Syndrome spots the similarities between Paris and a chinese replica of Paris called Tianducheng. 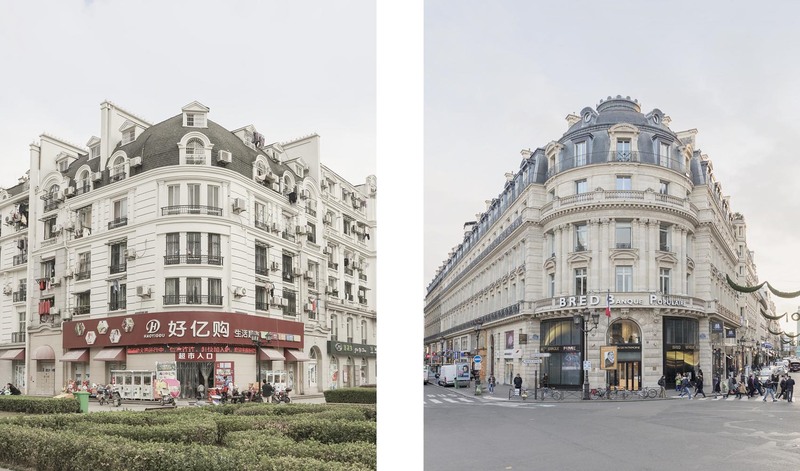 Tianducheng was build 10 years ago in the suburb of chinese city Hangzhou. 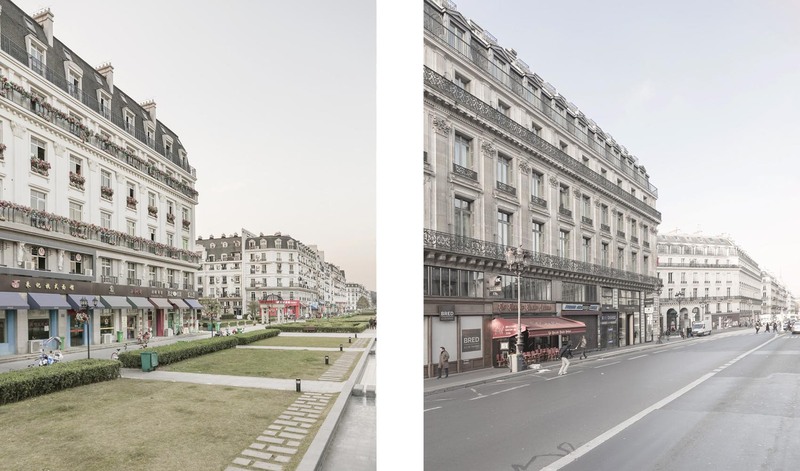 It displays a 100m high Eiffel tower, a 31km2 haussmanian style neighborhood and a park inspired by Versailles garden. 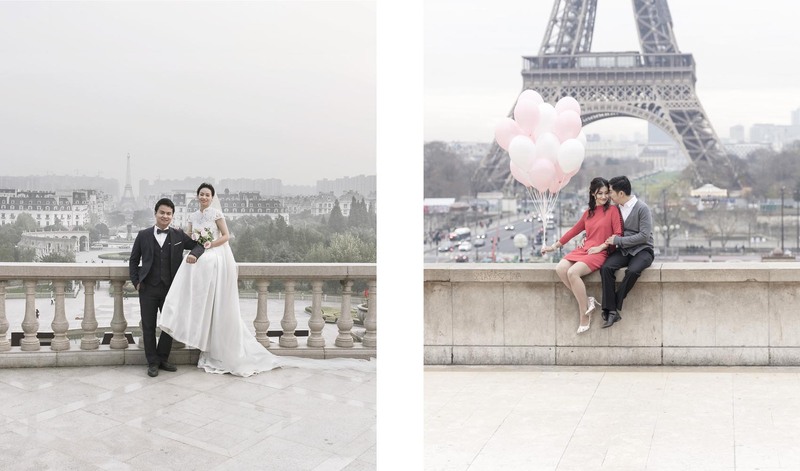 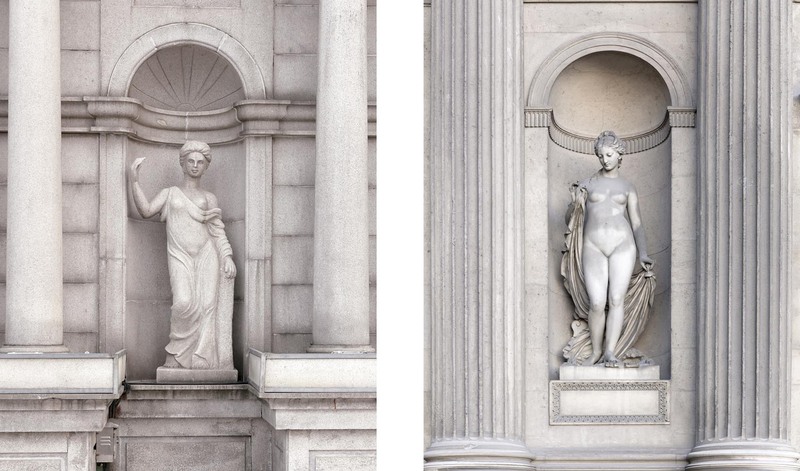 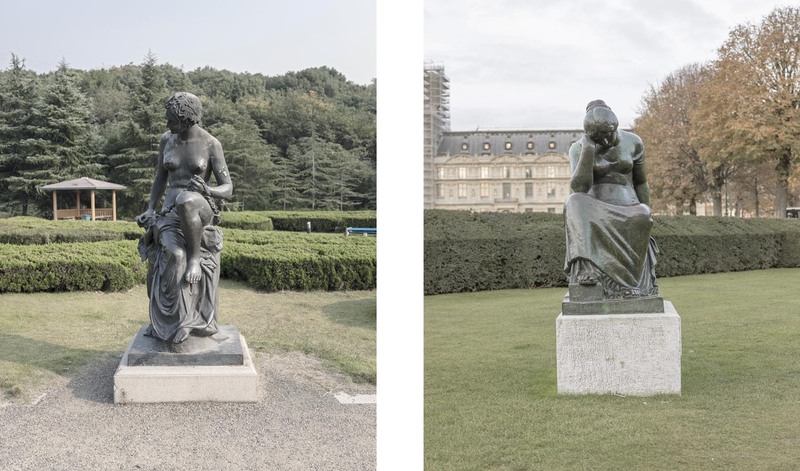 Renown as a perfect decor for wedding photography, Tianducheng is first of all a pretty average inhabited suburb neighborhood for middle class people, that lives around parisian sculpture and fountain as they would live anywhere else in China. 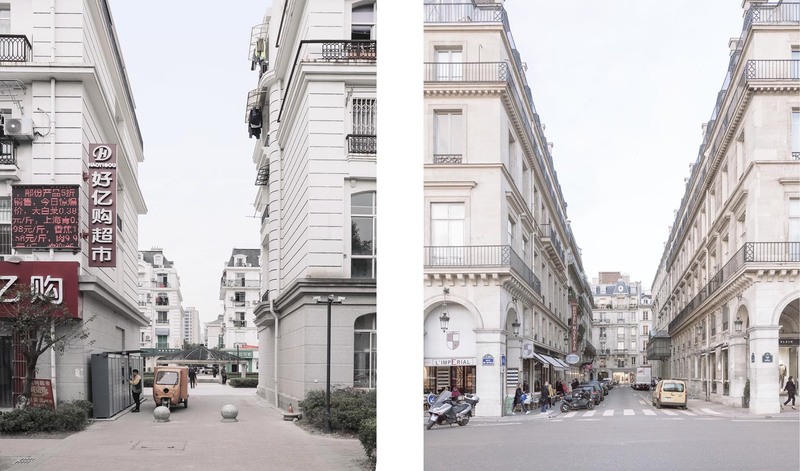 It used to be described as a ghost town a few years ago, but the population rised to 30000 inhabitants in 2017 and is still growing. 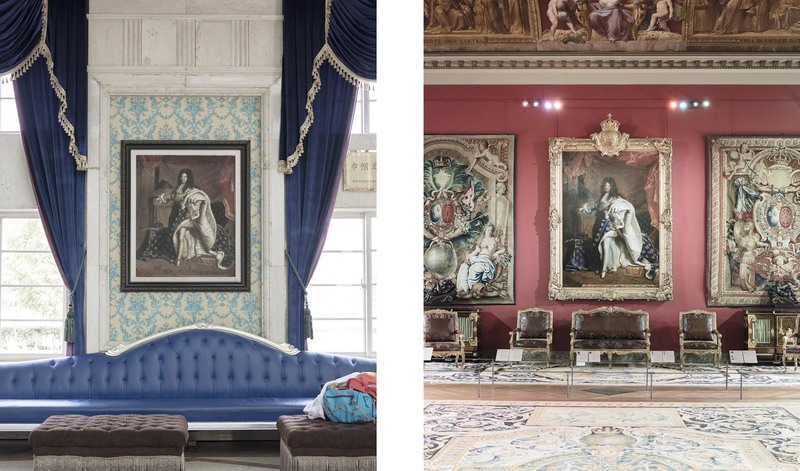 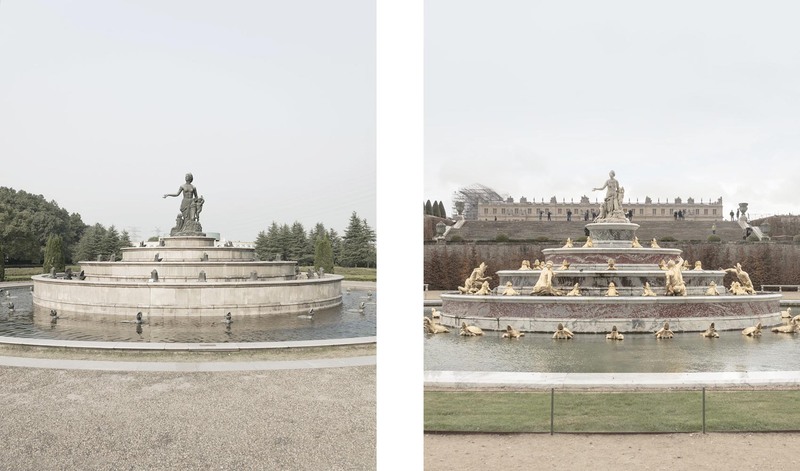 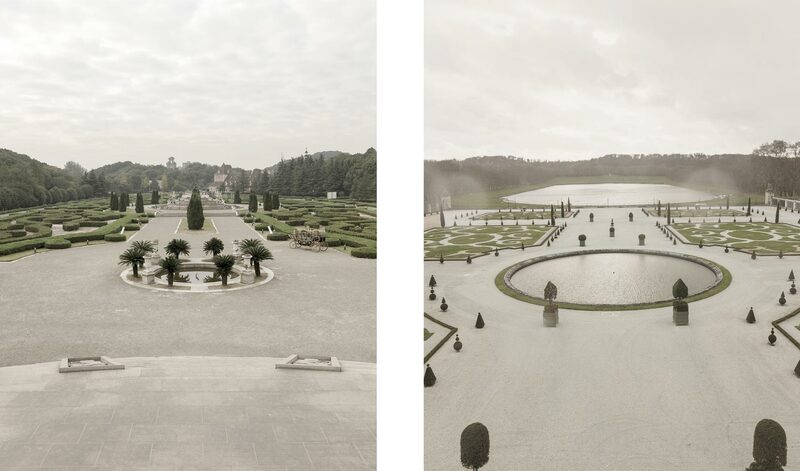 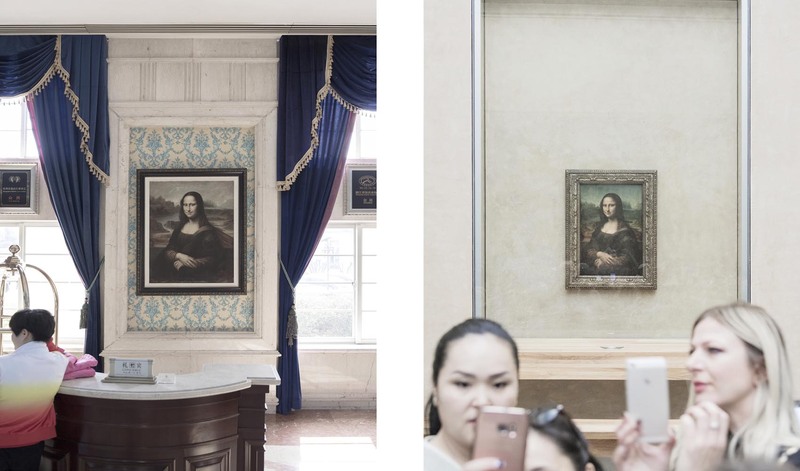 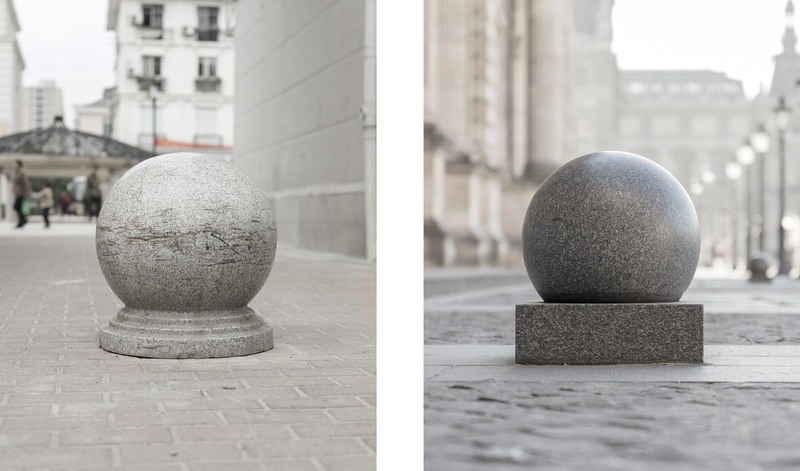 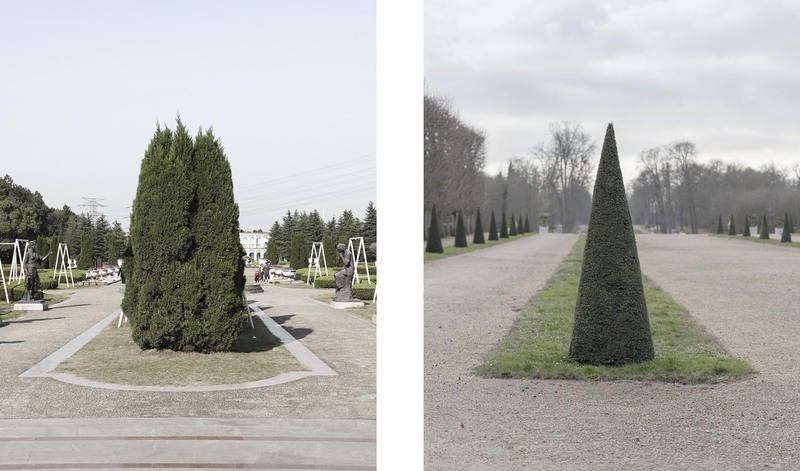 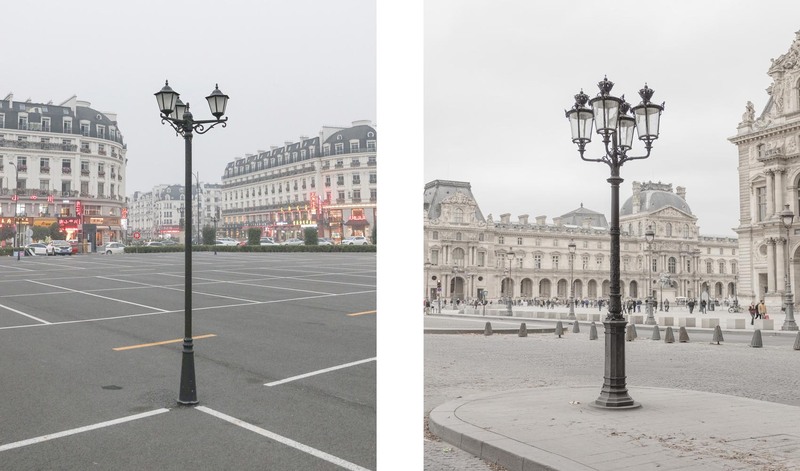 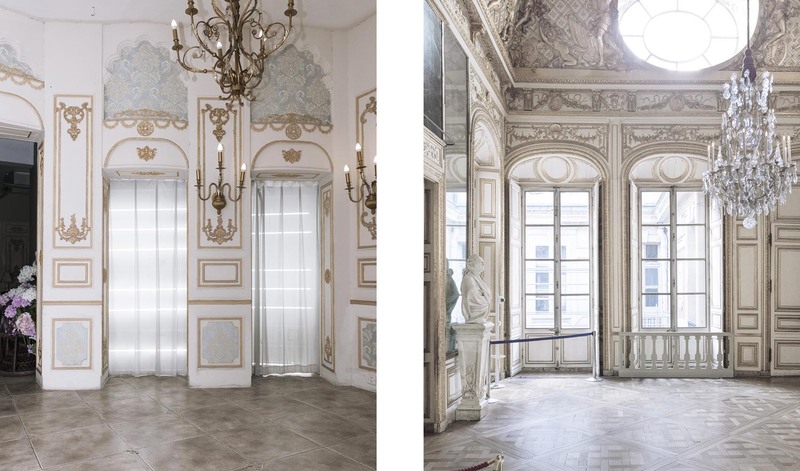 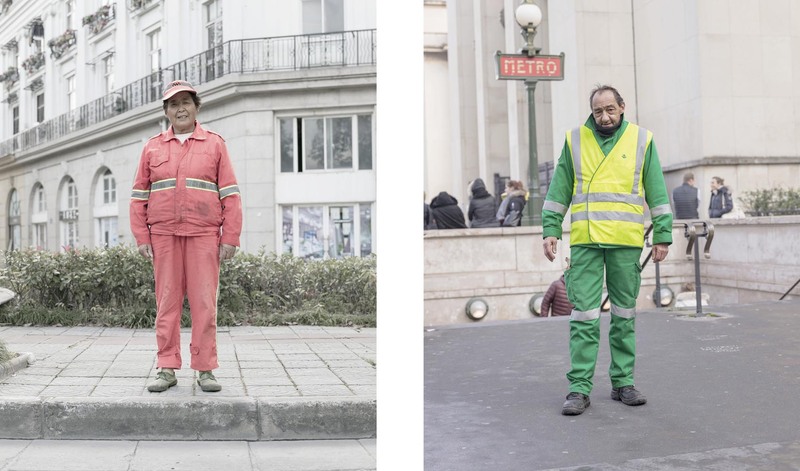 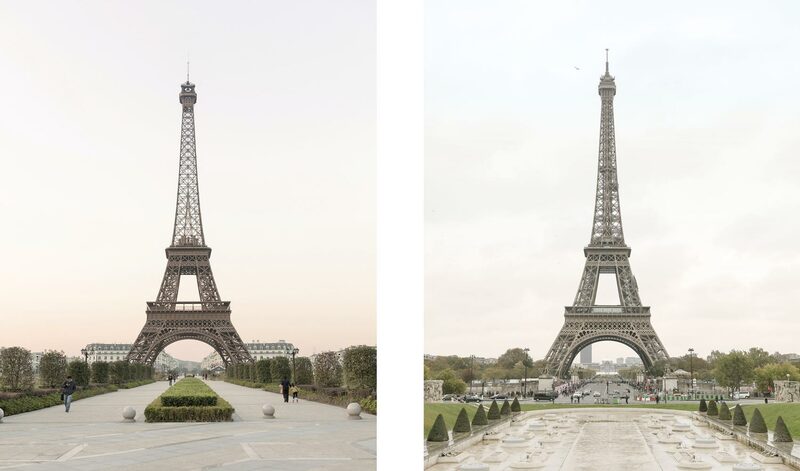 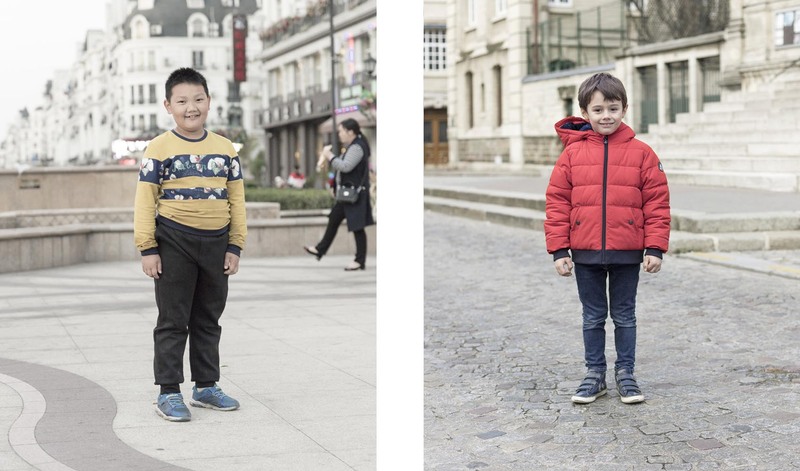 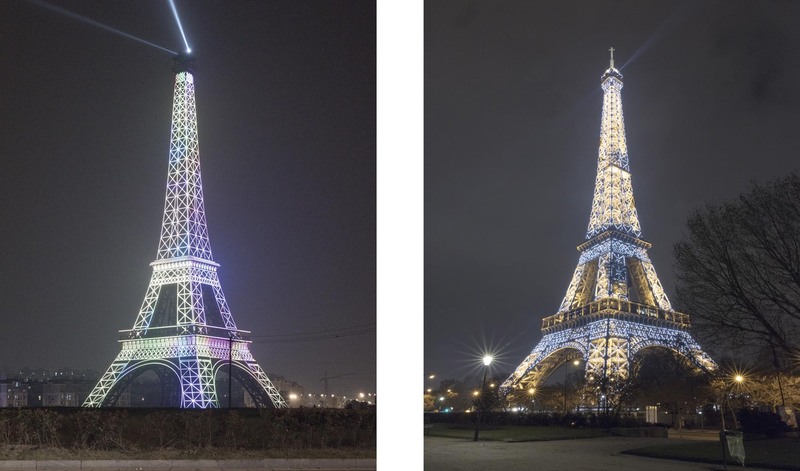 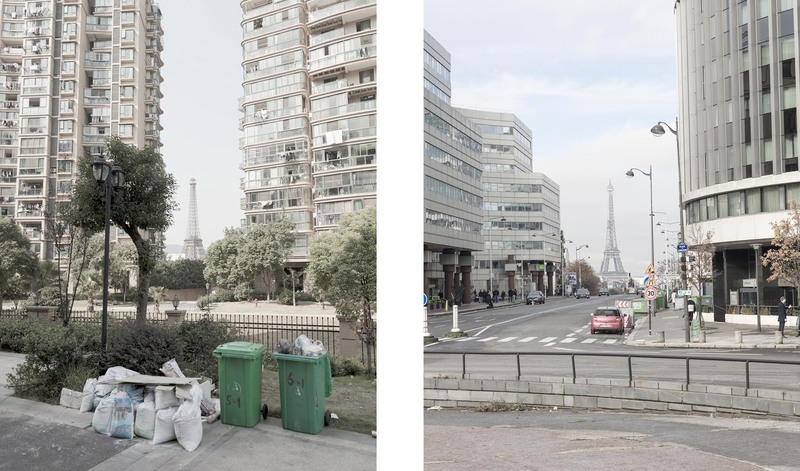 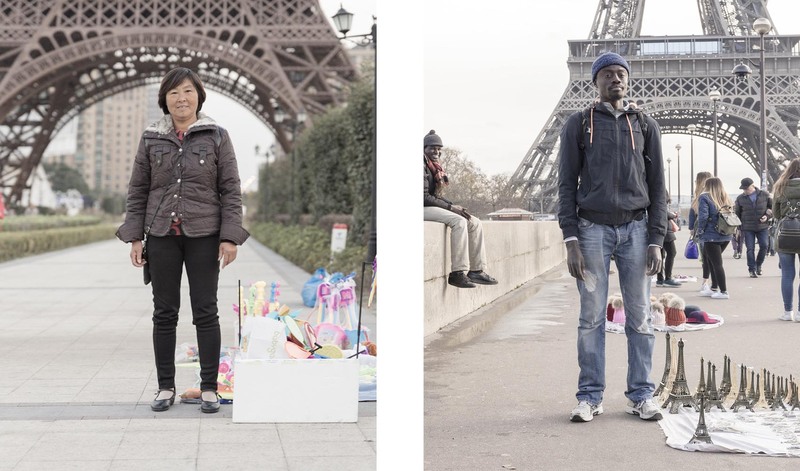 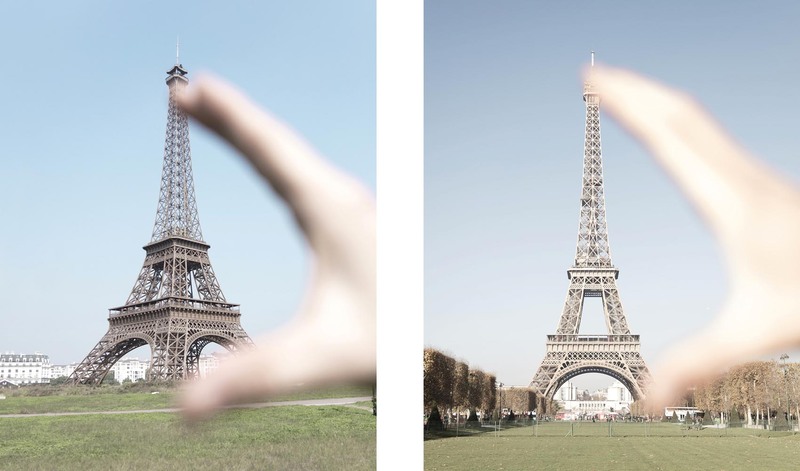 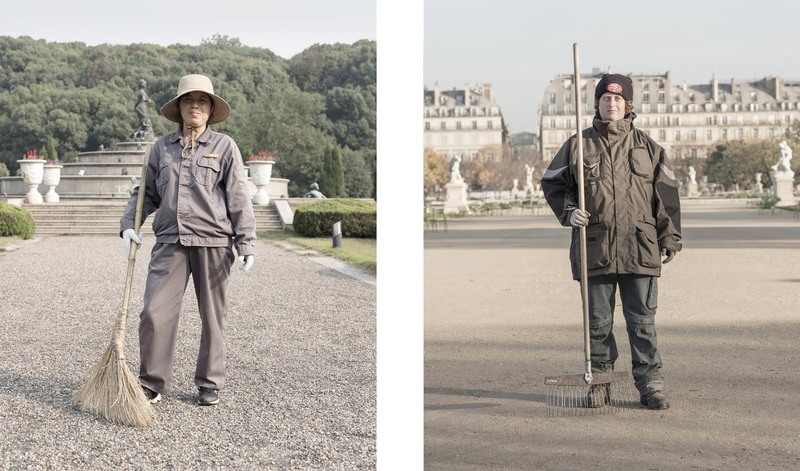 All pictures on the left side were done in China whereas all pictures on the right side were done in Paris.